I never need an excuse to get dressed up, since I have always been someone that prefers to be overdressed rather than underdressed. 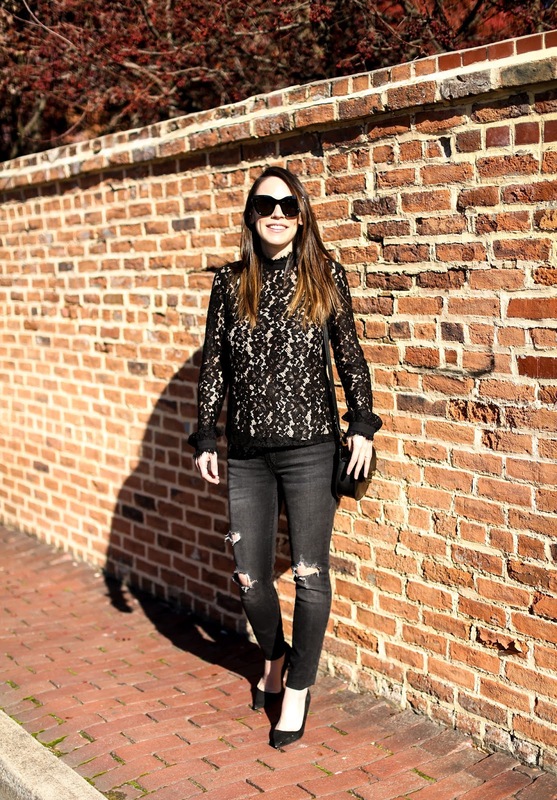 However, I do love mixing up more feminine, polished or glam pieces with jeans for events, parties or evenings out. 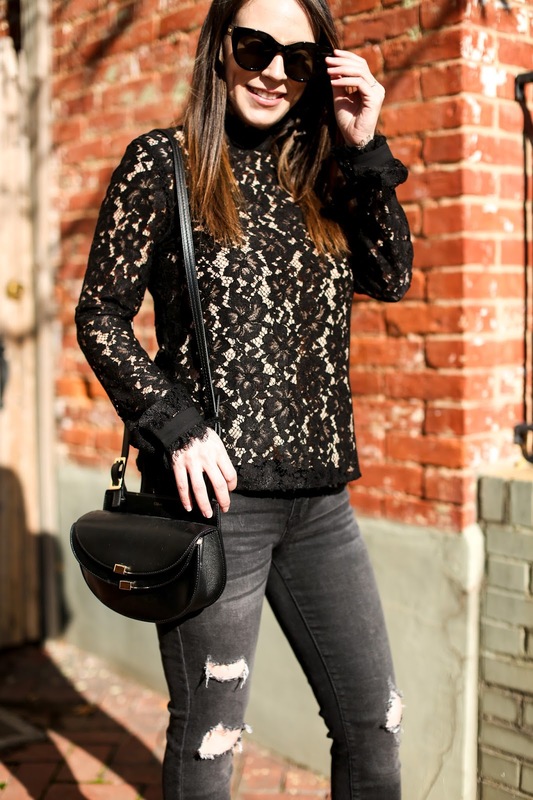 This lace top seemed like a perfect piece for the holiday season and could be styled a ton of different ways, but I really love it with my distressed jeans and pumps. It's still casual enough for being out during the day, but if I were to switch up my lipstick (this one in Heat Wave is always a holiday fave), add a clutch and possibly a leather jacket, it would be evening ready. 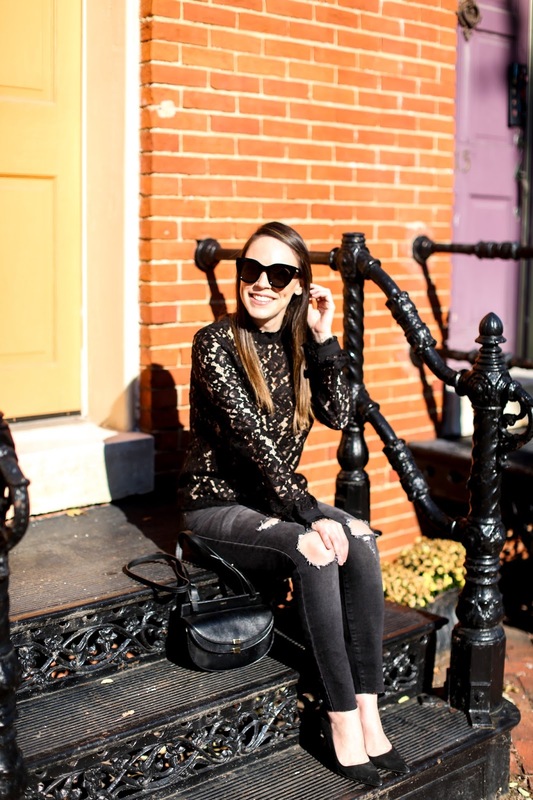 I'm (obviously) not back in my regular jeans yet, so I did pick up a few pairs that were on major sale just to wear now so I don't have to be in leggings all day. 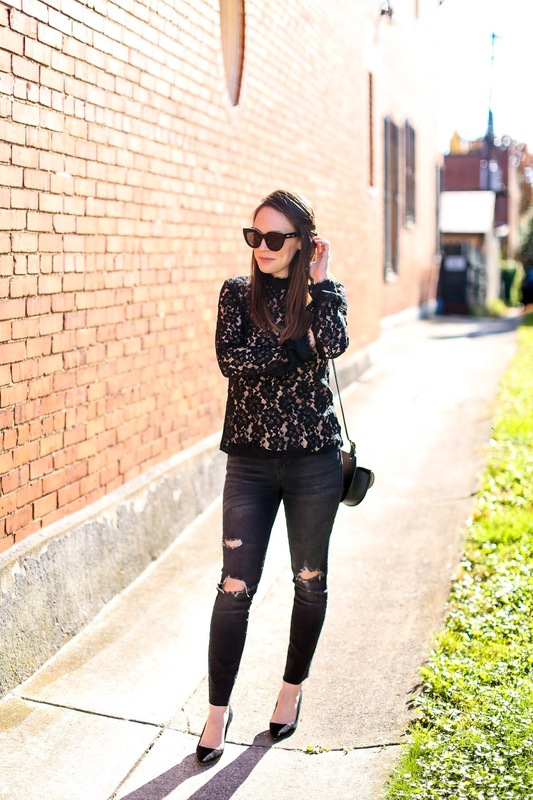 LOL These jeans I'm wearing in today's post were an amazing price and I loved the fit, and I also have these jeans from Old Navy that I would recommend (and they are a steal at under $40). I plan to give a once over during the upcoming sales to see if there are any other pants or jeans I could pick up to get me through these next few weeks/months until I get back into my regular clothes. I hope everyone has a wonderful Thanksgiving and a great start to the holiday season! Wishing you and your family all the best and as always, thank you for continuing to support me and my blog. It is such an honor to connect with so many of you on a daily basis. Happy Thanksgiving!